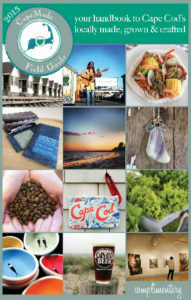 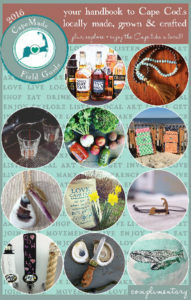 The CapeMade Field Guide is your go-to resource for discovering local products and businesses as well as unique destinations and experiences across Cape Cod. 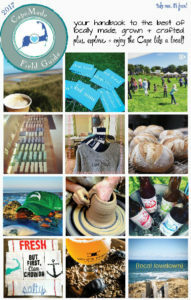 Interested in advertising your locally owned business in the most locally focused Cape Cod guidebook? 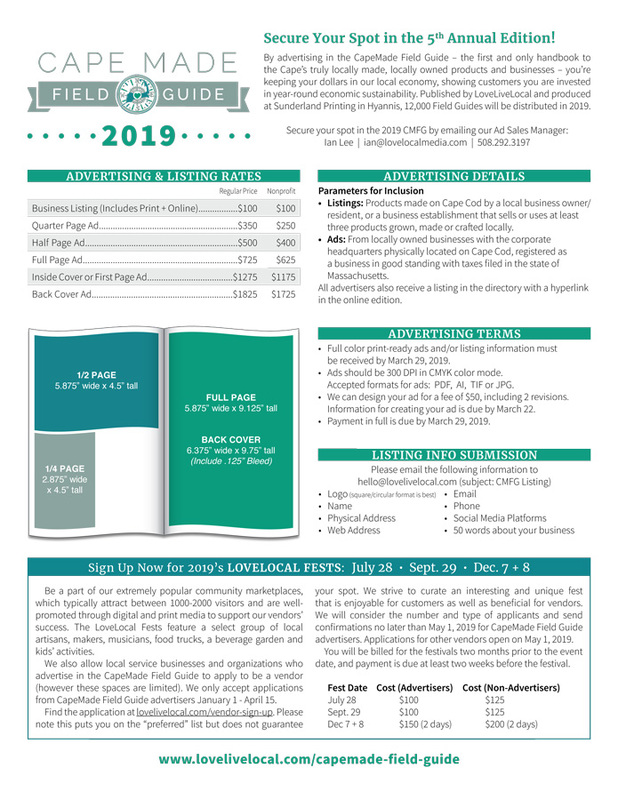 Download a PDF of the 2019 Media Kit here.